Retail giant Walmart is eying a merger with health insurer Humana, the Wall Street Journal reported on Thursday. The two companies have not confirmed any merger talks, but should a deal be announced, it would create a force in the Medicare Advantage industry that some experts say would have the potential to redefine how America's seniors access healthcare. The combined business would have more than $550 billion in revenue. The current No. 1 health plan is UnitedHealth, which pulls in $201 billion in revenue annually. The rumored deal, which would need to be approved by shareholders and regulators, would be another in a string of recent proposed mergers pairing health insurers with other massive supply chain partners, particularly in the pharmacy space. Late last year, pharmacy chain behemoth CVS Health said it would acquire Aetna for $69 billion. And earlier this month, Cigna Corp. agreed to buy Express Scripts for $67 billion. Humana is also buying a large stake in home healthcare provider Kindred Healthcare. The companies are all playing catch-up with UnitedHealth, which is miles ahead of others in terms of integration with other aspects of the healthcare industry thanks to its Optum business, which owns a big pharmacy benefit manager. Merger partners are looking for ways to provide more choice and access to care at a lower cost as consumers, many of whom are enrolled in high deductible plans, become more involved in making decisions about their care. Moreover, in the wake of the failed merger attempts last year between Aetna and Humana, and Anthem and Cigna, healthcare companies have figured out that any deals putting big insurers with other big insurers will likely be blocked by antitrust regulators. Companies hoping to grow in scale will have to look at nontraditional partners. But of all the proposed mergers, Walmart and Humana are the most natural fit. The two have a long, successful history selling co-branded stand-alone prescription drug plans to seniors. Their lucrative drug plan has acted as "a feeder for the explosion of Humana's Medicare Advantage business over the last decade," said John Gorman, a consultant to Medicare Advantage companies. Louisville, Ky.-based Humana converts over 100,000 of its Walmart-Humana drug plan enrollees to Medicare Advantage plans each year, he said. Its Advantage enrollment tops 8.6 million, including membership in its stand-alone prescription drug plans. 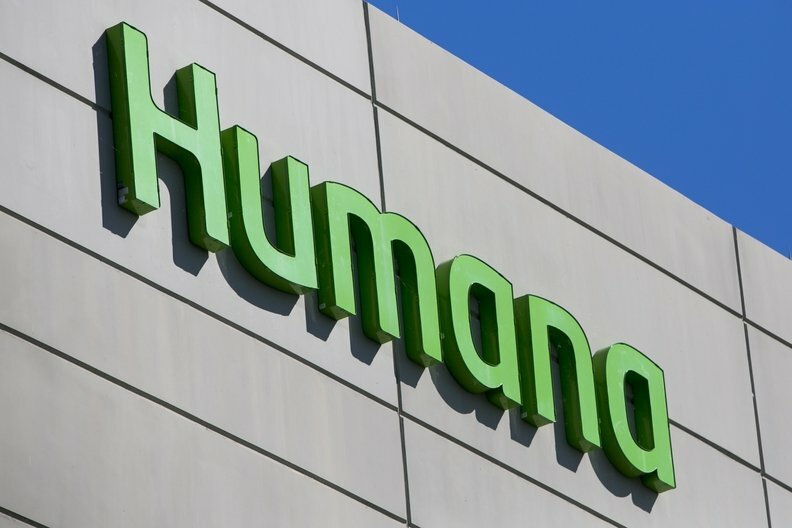 Membership in Humana's stand-alone prescription drug plans increased 7.2% to 5.3 million members in 2017 over 2016, and the insurer said the growth was driven primarily by more members signing up for the Humana-Walmart plan. Humana raked in $3.7 billion in premiums, or about 7% of its total revenues, from prescription drug plans in 2017. The insurer also owns a PBM. With baby boomers aging into Medicare Advantage at a rapid clip, that market is booming and full of promise for insurance companies. At the same time, Humana and Walmart both own retail clinics. Humana has been investing heavily in them, launching 15 new clinics in 2017 for a total of 195 clinics that it runs by itself or through joint ventures. It recently moved those clinics under a new brand dubbed "Conviva." Bentonville, Ark.-based Walmart owns more than 5,300 U.S. stores, including its Sam's Club locations. Many of these stores have pharmacies, and Walmart also operates some retail clinics in Georgia, South Carolina and Texas. A merger is "going to redefine our notion of primary care for seniors," Gorman said, as the two companies direct patients to seek care at those lower-cost retail settings instead of hospitals and emergency rooms. It's a strategy that merger partners CVS and Aetna are bettering on as well. "The most important thing is to control costs, and (the combined company) can do that by having more control over the lives that Humana manages and funneling them through Walmart clinics and pharmacies," said Allen Fisher, managing director at MUFG. According to pharmacy consultant Adam Fein, who authors the website Drug Channels, Walmart operates the fifth largest U.S. pharmacy with estimated prescription revenues of $20.5 billion in 2017. Combined, Walmart and Humana would have $26.8 billion in combined pharmacy revenues, according to Fein. Patient and consumer data is another major aspect of the rumored Walmart-Humana deal. Walmart has a wealth of insight into consumers—what they buy at the store and what food they eat—while Humana has a trove of patient information. Combining their data will be valuable as the healthcare system moves toward paying for good outcomes. "It's a core competency that's going to be necessary in this future world," explained Gurpreet Singh, a partner at consultant firm PricewaterhouseCoopers. "Not just having data, but doing analysis around what products and services people are buying and what outcomes they're receiving and what kind of return on investment we're achieving." Humana's 2017 total revenue was $53.8 billion and net income was $2.4 billion. Its membership was 14 million. Walmart's annual revenue totals $500.3 billion on operating income of $20.4 billion. Correction: An early version of this story incorrectly stated that a merger between Walmart and Humana would create the largest health insurer.